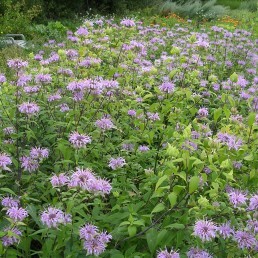 Attractive purple flowers in the mint family. 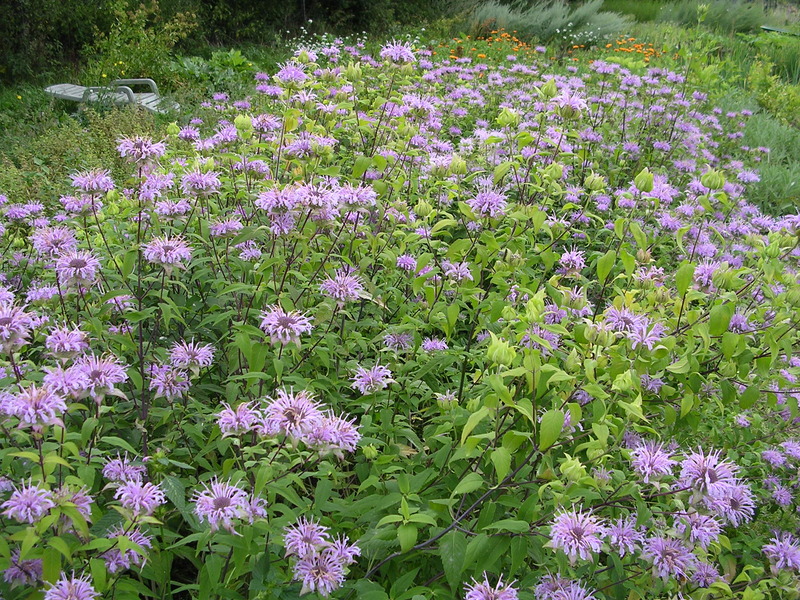 Attractive purple flowers in the mint family. Plant needs good air circulation. 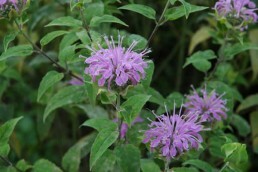 Has aromatic leaves that can be used for mint tea. 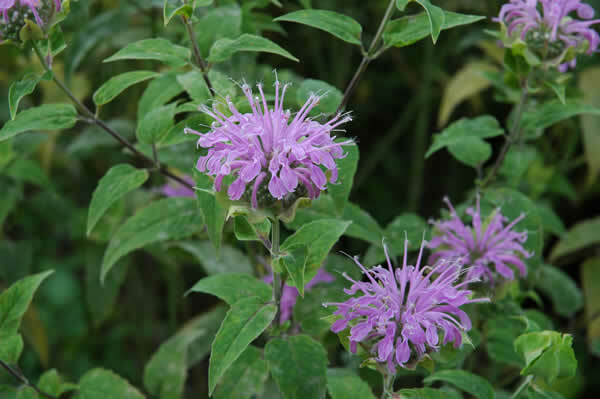 Wild Bergamot attracts Hummingbirds, Bees and Butterflies.